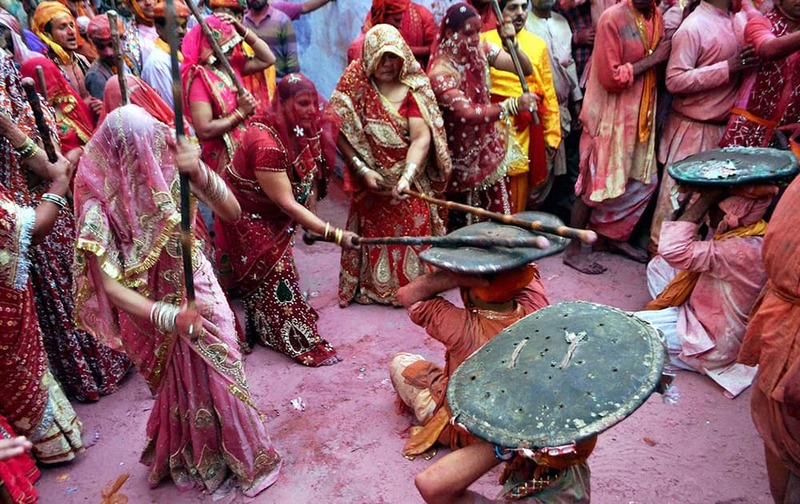 People perform the Lathmaar ritual during the Holi celebrations at Sri Ji temple in Barsana. The New Zealand team pose with the Chappell Hadlee after defeating Australia in their Cricket World Cup match in Auckland, New Zealand. 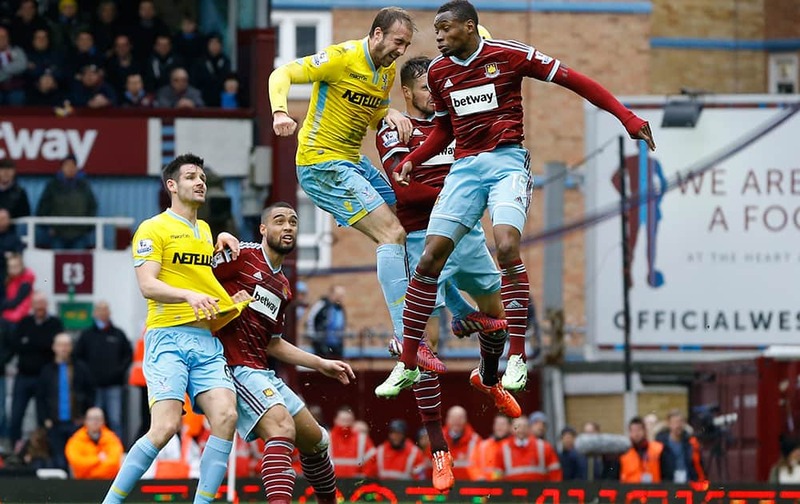 Crystal Palace's Glenn Murray heads in a goal during the English Premier League soccer match between West Ham United and Crystal Palace at the Boleyn Ground in London. 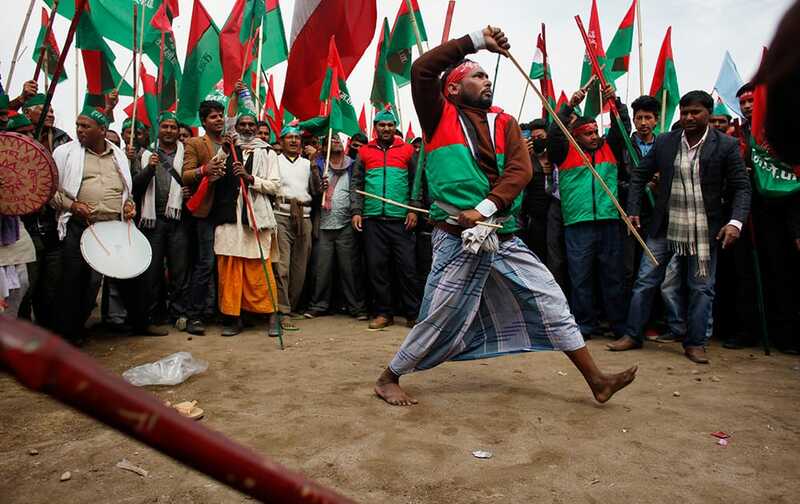 A Nepalese supporter of alliance of 30 opposition parties dances during a protest led by Unified Communist Party of Nepal-Maoist in Kathmandu, Nepal. 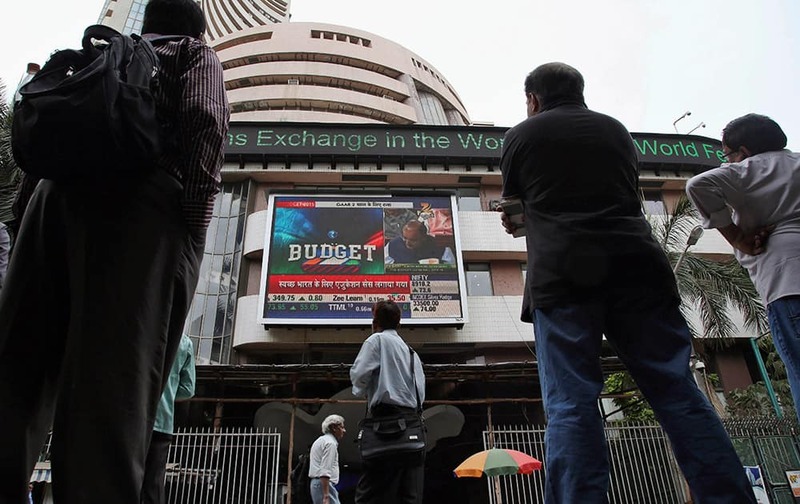 Virat Kohli and Rohit Sharma embrace after they won their Cricket World Cup Pool B match against the United Arab Emirates in Perth, Australia. 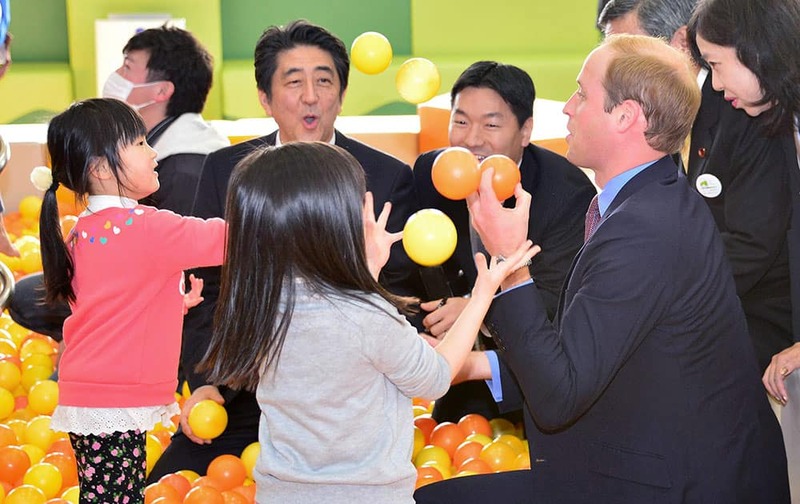 Britain’s Prince William, right, juggles balls in front of Japanese Prime Minister Shinzo Abe, left, and children at Smile Kids Park playground in Motomiya city, Japan’s northeastern prefecture of Fukushima. 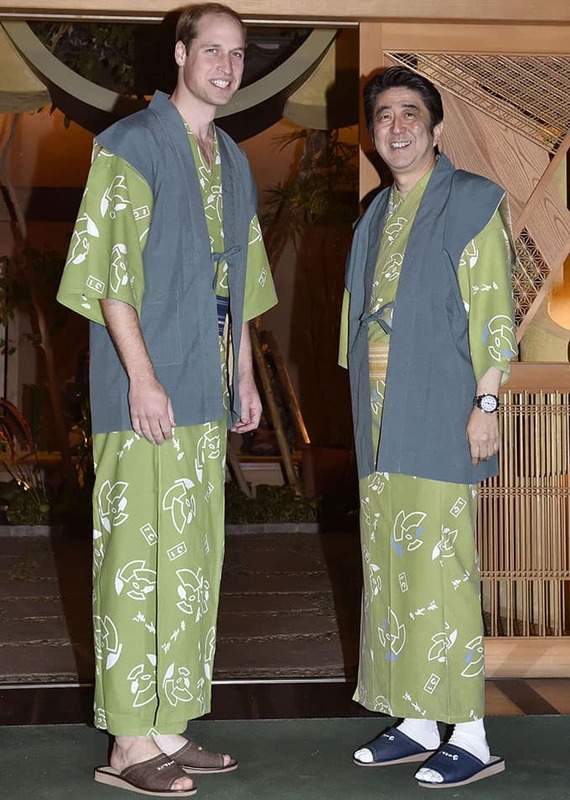 Britain’s Prince William, left, and Japanese Prime Minister Shinzo Abe, right, wearing "yukata", or kimono-style pajamas, pose together before a dinner in Koriyama, Japan’s northeastern prefecture of Fukushima. A model wears a creation for Bottega Veneta women's Fall-Winter 2015-2016 collection, part of the Milan Fashion Week. 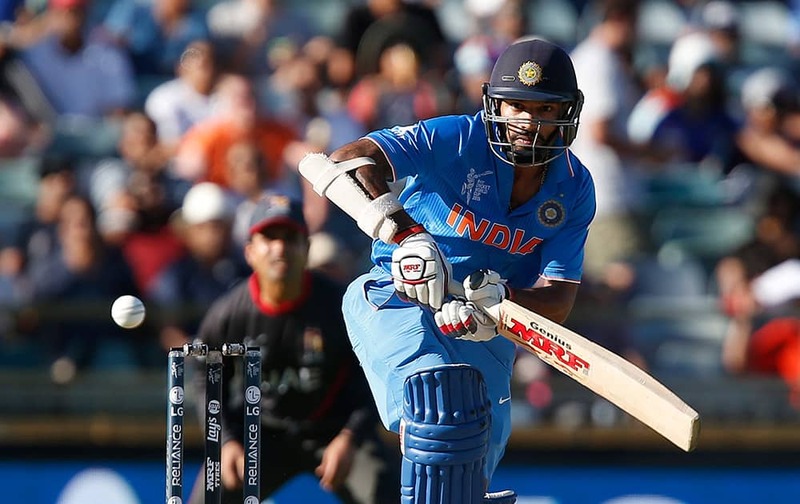 Shikhar Dhawan plays a shot during their Cricket World Cup Pool B match against the United Arab Emirates in Perth, Australia. 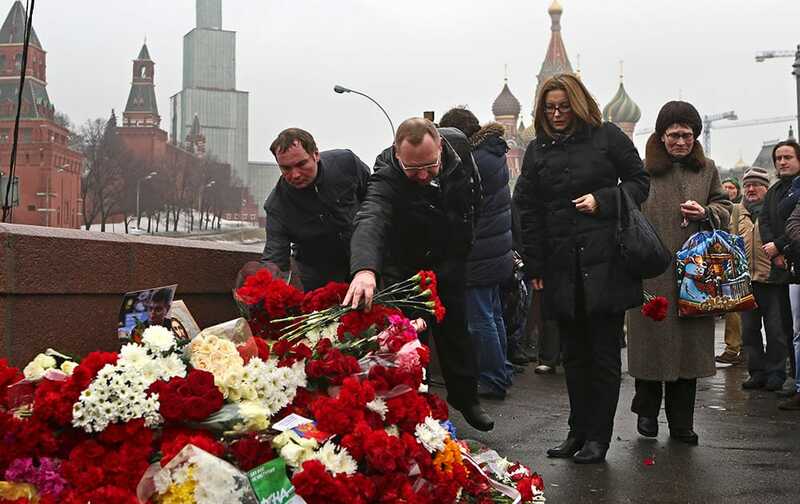 People lays flowers at the place where Boris Nemtsov, a charismatic Russian opposition leader and sharp critic of President Vladimir Putin, was attacked, at Red Square in Moscow, Russia. 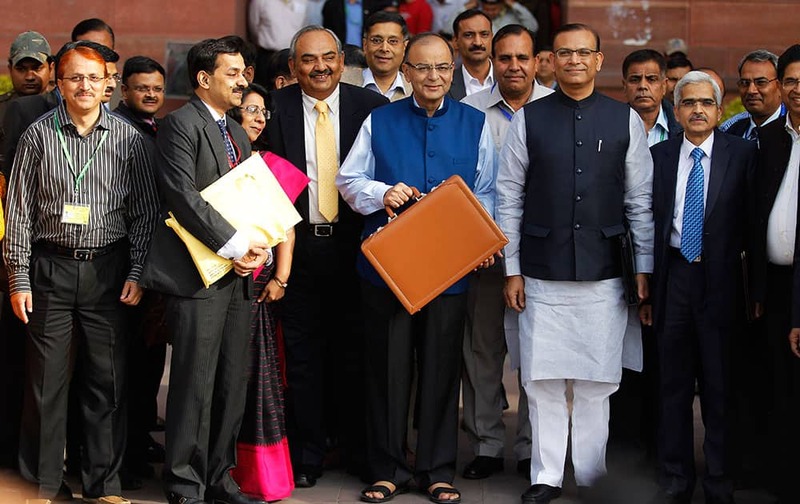 Finance Minister Arun Jaitley, center in blue jacket, display a briefcase containing union budget for the year 2015-16 as he leaves his office for Parliament to present the union budget in New Delhi, India. 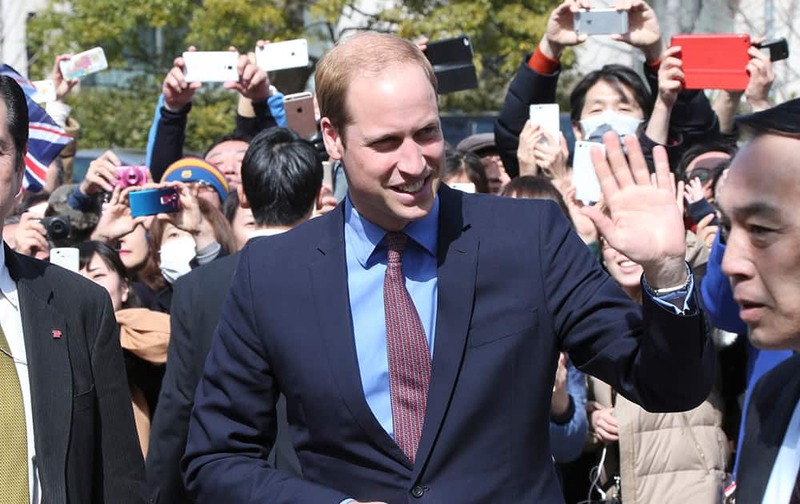 Britain's Prince William waves upon arrival at the Tsutaya bookstore at Daikanyama in Tokyo. 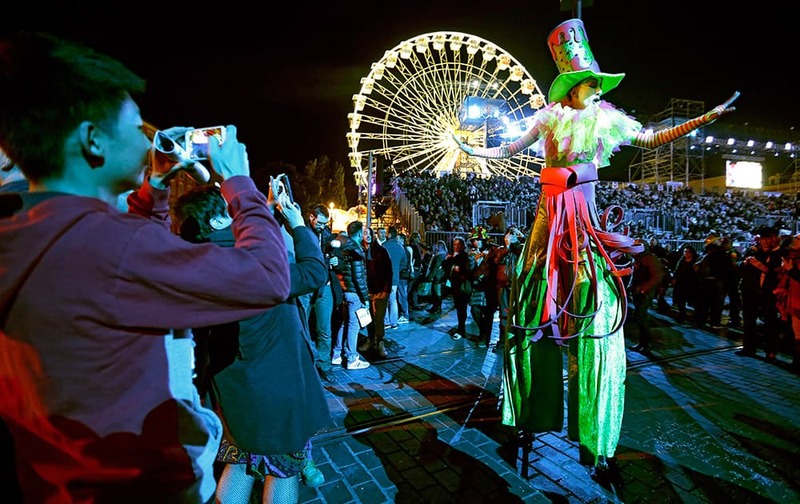 Celebrity Paris Hilton, left, takes a selfie with Fidel Castro Diaz-Balart, son of Cuba's leader Fidel Castro during the gala dinner of the 17th Cigar Festival in Havana, Cuba. 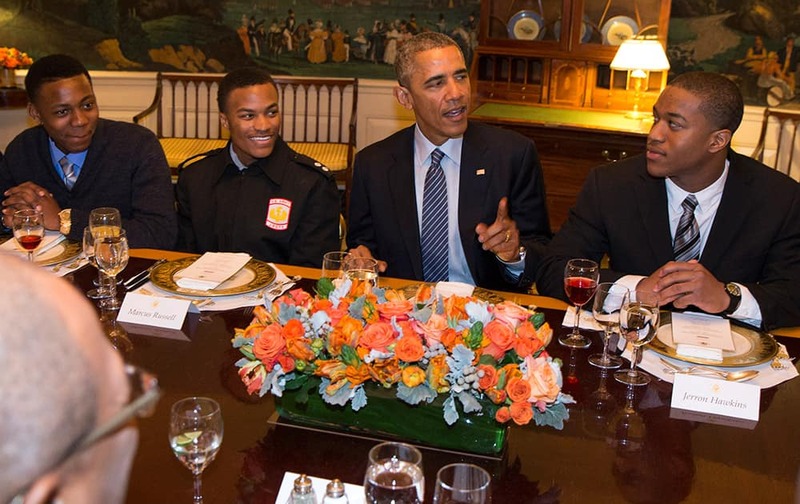 President Barack Obama hosts a lunch with 'My Brother's Keeper' mentees in the Map Room of the White House in Washington. Rafael Nadal of Spain returns the ball to Federico Delbonis of Argentina at the ATP Argentina Open, Buenos Aires, Argentina. 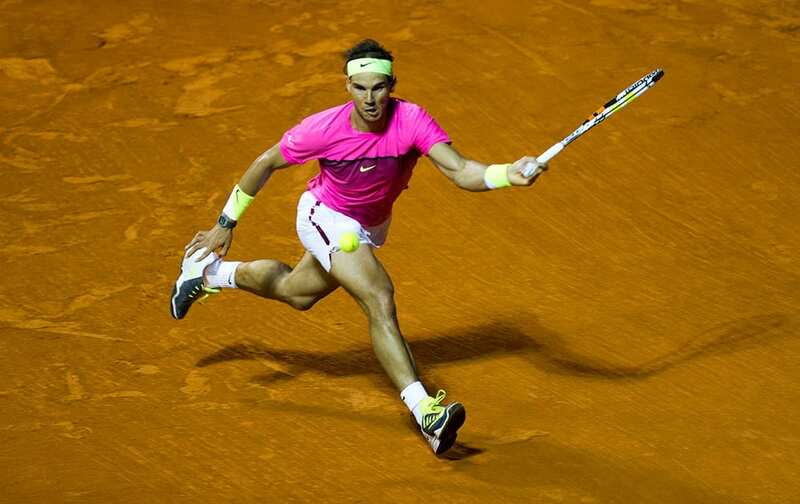 Nadal won the match 6-1 6-1. 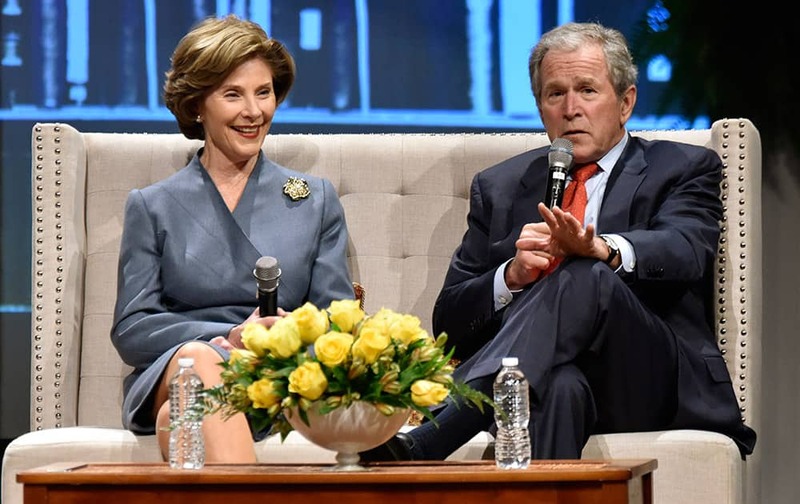 Former President George W. Bush and his wife Laura speak during a Fireside Chat, at Christ's Church in Jacksonville, Fla.
Revelers parade during France's first gay carnival, 'Lou Queernaval', in Nice, southeastern France. 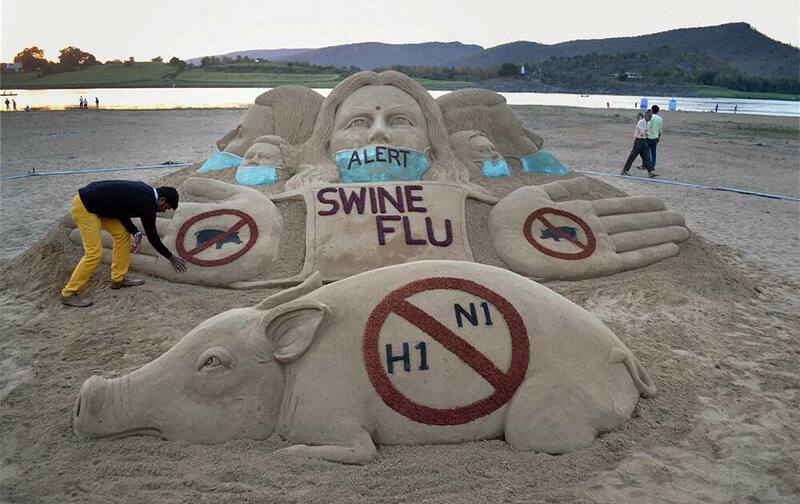 A sand artist makes a sand sculpture.